BBC News - Is biofuel is the green answer to oil-based jet fuel? 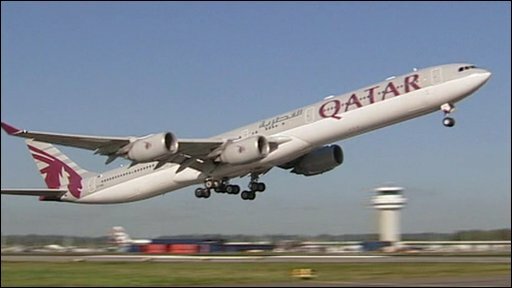 Two of the Middle East's biggest airlines Etihad and Qatar Airways -have announced plans to run their planes on biofuel. Environmentalists have criticised the growing of biofuel products because it competes with essential food production and causes deforestation in developing countries. Malcolm Borthwick talks to the airlines, aircraft makers and environmentalists about whether biofuel is the green answer in replacing oil-based jet fuel.